is a dynamic, interactive workshop designed to improve resilience, health and emotional well-being, while dramatically reducing stress. The Transforming Stress Transforming Life training consists of two 3-hour classes that address the key issues that cause stress and affect resilience, bringing more ease and balance to your life – at work and at home. All participants will receive the emWave2 Personal Stress Reliever to use during the two weeks between Session One and Session Two. This is a powerful, handheld device the size of an IPhone that provides instant feedback and training on how to recalibrate your system. Recorded sessions with your EmWave2 can be uploaded onto your computer for further viewing and tracking with included software. You will also be enrolled in a 12 month alumni program with online resources, e-reminders, emWave instructional webinars, videos and tech support. 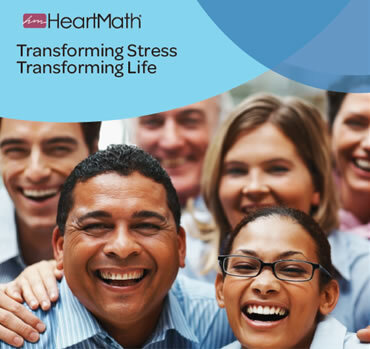 The HeartMath workshop consists of two 3-hour classes, held two weeks apart, from 9am to Noon, as listed below. Attendance at both sessions is required and participation must be approved by your supervisor. Please call the Training & Education Center at 510-272-6467.